HEALTH & SAFETY TECHNOLOGY (H.K.) 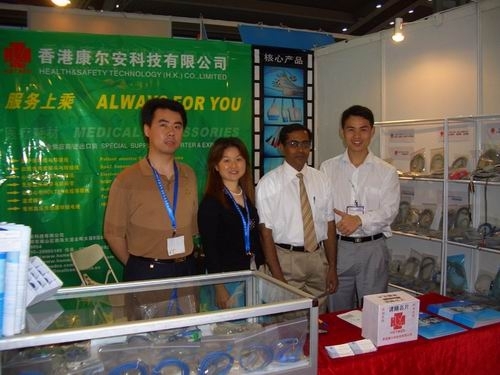 CO., LIMITED (HSTMEDCO) is one of the largest manufacturer and exporter for medical accessories and consumable material in China. Our products including Spo2 Sensor; Spo2 adapter Cable; Patient monitor ECG cable with leadwire; Electrocardiograph Cable and Leadwire; Non injury Blood-pressure Cuff and Extension Tube ;HOLTER Leadwire ;Temperature Sensor; IBP cable; EEG cable and leadwires; Disposable surgical pencil for electrosurgical generator, and so on. Currently our products have been exported to more 60 countries and regions including Europe; the Middle East; the Southeast Asia; Oceania; South America; North America and Africa. OEM and ODM is welcome.